(TibetanReview.net, May18, 2015) – Indian pilgrims to the Kailash-Manasarovar sites in the remote western Tibetan prefecture of Ngari (Chinese: Ali) will be able to travel through the more convenient Nathu La pass in Sikkim from Jun 2015. This is in addition to the existing route through the Lipulekh Pass in Uttarakhand state which the bulk of the pilgrims will take. “The Nathu La route for Indian pilgrims to visit Kailash Mansarovar will become operational in June. I want to thank China for that,” Indian Prime Minister Narendra Modi said in his address to the India China Business Forum in Shanghai on May 16 after 26 agreements worth US$22 billion were signed between Indian and Chinese firms. 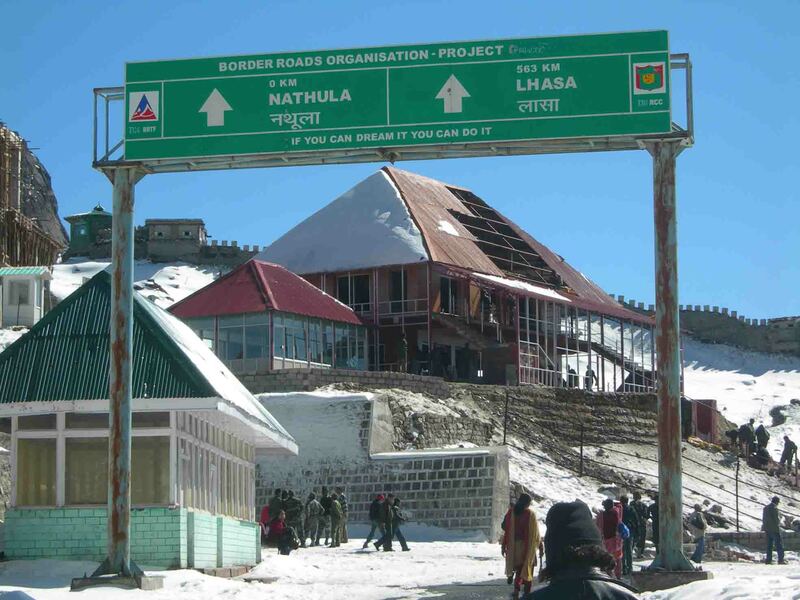 The route through Nathu La Pass will facilitate comfortable travel by buses especially for the elderly pilgrims. India’s Ministry of External Affairs currently takes more than 1,000 pilgrims a year in 18 batches in a 22-day journey through the Lipulekh Pass. The number of pilgrims is expected to rise considerably once the new route is opened. This year a total of 1,330 pilgrims will make the journey, including 250 via Nathu La in five batches. The remaining 1,080 will journey via Lipulekh in 18 batches. Chinese President Xi Jinping had promised to open the new, Nathu La route during this visit to New Delhi in Sep 2014. The easiest and shortest route for travelling to the Kailash-Manasarovar sites remains Demchok in Ladakh region of Jammu and Kashmir. This route was used by Indian pilgrims when Tibet was free until 1959 without even being required to apply for a visa. People in Ladakh have been demanding the reopening of this route but without success apparently due to China’s refusal.